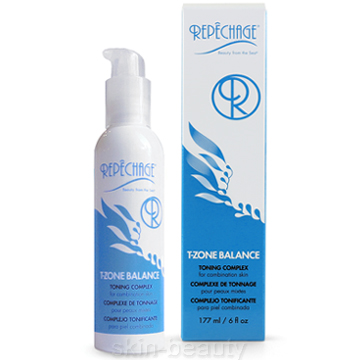 Repechage T-Zone Balance Toning Complex helps prevent free radical damage and restores skins pH balance. Made with Green and White Teas, St. John's Wort to calm and refresh your complexion. Directions: Apply with cotton dampened in warm water after cleansing. Pat gently onto face, avoiding the eye area. Use twice daily, or as desired.